Goblet is made out of high quality polyresin. Stainless steel drinking cup, seperatly washable. Anubis is a god associated with mummification and the afterlife in ancient Egyptian religion, usually depicted as a canine or a man with a canine head. Like many ancient Egyptian deities, Anubis assumed different roles in various contexts. Depicted as a protector of graves as early as the First Dynasty (c. 3100 – c. 2890 BC), Anubis was also an embalmer. By the Middle Kingdom (c. 2055 – 1650 BC) he was replaced by Osiris in his role as lord of the underworld. One of his prominent roles was as a god who ushered souls into the afterlife. He attended the weighing scale during the "Weighing of the Heart," in which it was determined whether a soul would be allowed to enter the realm of the dead. 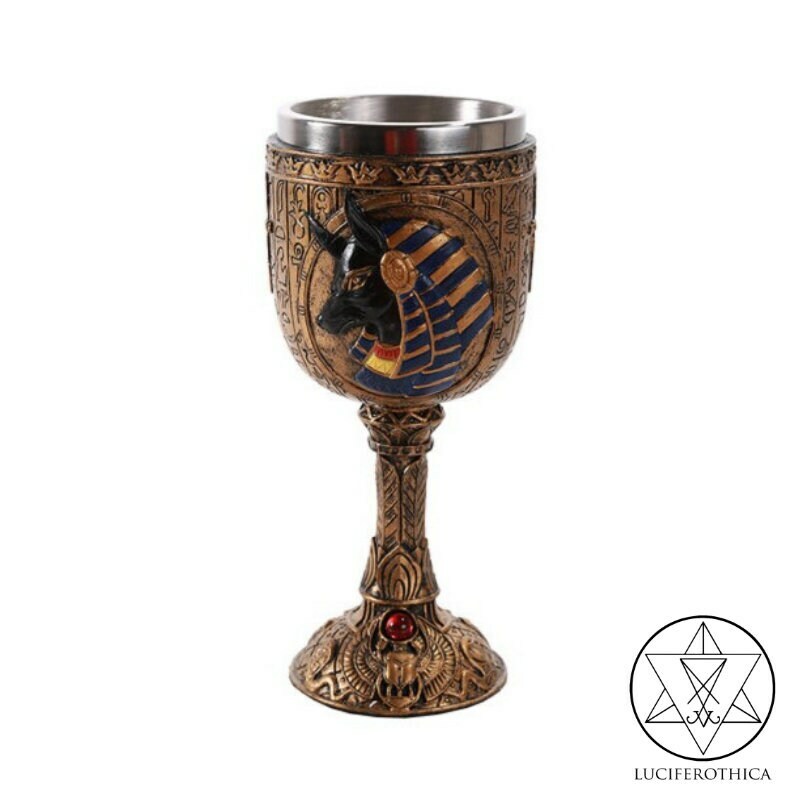 Anubis was depicted in black, a color that symbolized both rebirth and the discoloration of the corpse after embalming. Anubis' female counterpart is Anput. His daughter is the serpent goddess Kebechet.